Use the Classic Mop from E-Cloth to remove the dirt and grease from all of your hard floors using just water. It is made from robust yet lightweight aluminium, with a telescopic handle. (Adjusts from 1m to 1.5m for maximum reach) Only water is needed as the ultra-absorbent, high density cleaning tassels swiftly remove all of the dirt and bacteria from your floors. Guaranteed for 3 years. Machine washable. The E-Cloth Classic Mop product ethics are indicated below. To learn more about these product ethics and to see related products, follow the links below. 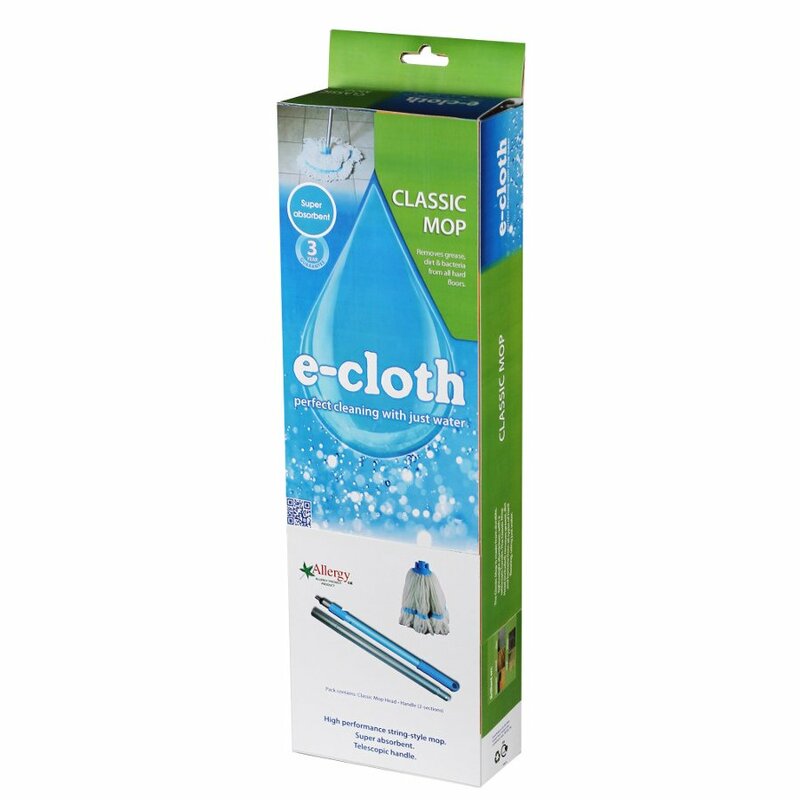 There are currently no questions to display about E-Cloth Classic Mop. E-Cloth is a revolutionary cleaning system which can reduce your use of chemicals by up to 90%! This clean, green alternative to chemical cleaning is great for allergy sufferers and can give your home a sparkle without the use of harmful chemicals. The cloths are made up of millions of clever little fibres which love dust and cleaning your appliances, and leaving them naturally clean and gleaming. So, make your home, office, or workplace a chemical free zone and get an eco-friendly, natural sparkle with E-Cloth.